We have been on the go the entire month of May...thus the reason I haven't been blogging very much. I traveled a total of 15 days in May and have visited two states, Tennessee and South Carolina. I must admit I am tired and am trying to play catch up before we have another adventure in June. But we have had a blast spending time together as a family and of course learning! Keep reading until the end for a great FreeBEE. 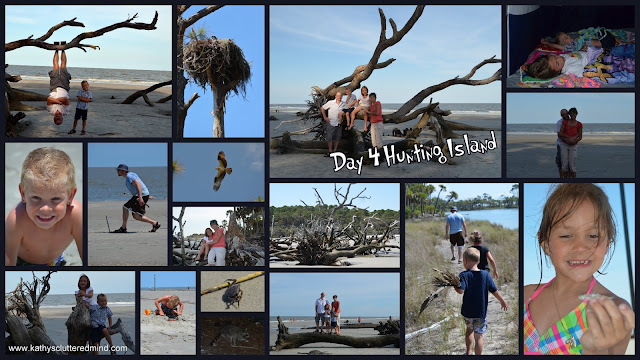 I have a few posts for you next week sharing our adventures in Nashville, TN but today I am sharing about our beach family vacation at Hunting Island State Park in SC. We had 5 days of family fun. My parents, brother, sister-in-law, sister, brother-in-law and 7 nieces and nephews were all there! So this week K is for Kindred! Even on vacations we are still looking for ways to learn....and there were certainly plenty of opportunities at Hunting Island State Park. On the way to the island we of course had to for gas and that is when our learning began. As I was pumping the gas I spotted a very interesting moth. It was white with black spots. Of course I did what any homeschool mom would do and picked him up to show the kids. I took some photos and then used my trusty Audubon Insect App to find out what species it was. Turns out it was a Giant Leopard Moth. We finally arrived at the island, unpacked our very loaded down car and then hit the beach for some exploring. The kids immediately dove into the ocean...with their clothes on. 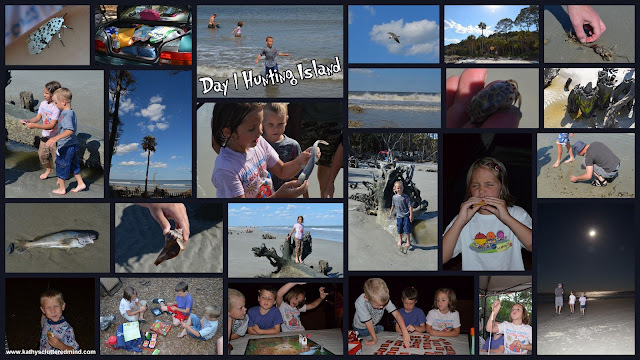 Then we walked along the beach where we found crabs, sea snails, cool ocean plant life a dead baby blacktipped shark, a dead fish and more. Later before dinner we played fun educational board games: Disney Apple to Apples, Camp, Suspend and History For Kids American History Memory. Then it was time for smores! While we were making our smores we noticed how bright the moon was, so hubby said we needed to take the kids down to the beach to experience the beauty of the moon shining on the ocean (it was about 11:30 pm). 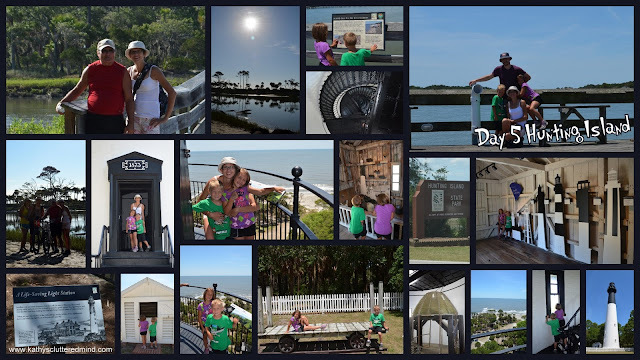 We started off the day by visiting the nature center, strolling down the 1,120 ft pier, taking a walk on the marsh boardwalk trail and listening to a 30 minute presentation at the visitor center about Crocodiles and Alligators. We took my youngest nephew along with us on our adventure. The entire staff at the state park is fabulous. The nature center employees took the time to talk with the children about several things and they let the kids hold a very cool turtle. They also gave us a SC fish guide and some temporary tatoos. The crocodile and alligator presentation was good and we all learned a thing or two....I personally learned all about osteoderms and how they act like solar panels. After the presentation they a great brochure about the American Alligator (download yours here). The marsh boardwalk trail lots of fun as well and gave the children the opportunity to learn about salt marsh ecosystems. We saw lots of fiddler crabs and even had fun playing with one. Afterwards we grabbed lunch and hit the beach for more swimming and nature beach combing. While exploring the beach we discovered that it was horseshoe crab mating season...they were all over the place. Brave hubby lifted one up so the kids could see what was under the hard shell. We also found some crabs and explored barnacles. After the beach we took a bike ride before dinner with my brother, sister-in-law and dad. We rode to an amazing part of the beach covered in large pieces of driftwood which we had fun climbing! After dinner my sister-in-law and I hit the beach for a walk. We took some pictures as the sun was setting and we also discovered a loggerhead turtle nest. We started the morning off with a kayaking trip in the lagoon. This was the first time the kids have ever been in a boat so it was very exciting for them. After about an hour of kayaking we headed to the beach of course. 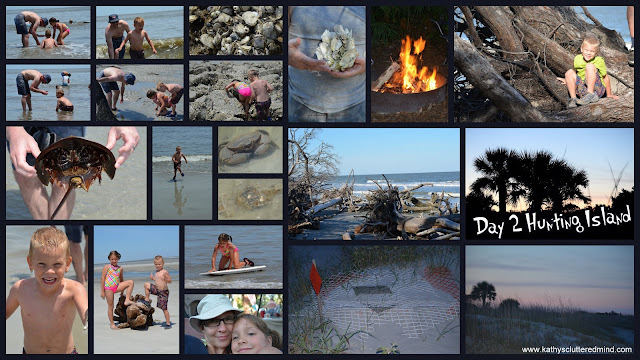 We played in the water, built sand castles, built sculptures out of waterlogged driftwood, saw a Great Egret and explored. After beach time we headed back to the campsite where we spotted a raccoon. These pesky little things encompassed our campsite each night (you couldn't leave any food out or it would be gone). Then the kids and I took one of my nieces on a Geocache adventure. We ended up having a fun 3 mile hike and yes we did find the cache. Along the way we saw some pretty cool things like a cactus with a yellow flower and probably the coolest thing an Osprey nest! We took Ben out to see the Osprey and I put on my large lens so I could get better pictures. I had used my Audubon Bird App to figure out what kind of bird it was. Then we headed to the beach for the last time. Ben had fun playing horseshoes with the my dad, nephew and brother-in-law. We had fun in the sun and then headed back to the campsite to freshen up for some family photos. It was time to head home. I started the morning off with a 3 1/2 mile bike ride with my brother, sister-in-law and dad. It was so much fun! Afterwards we packed the car and headed out....but before we got on the road to head home we were sure to visit the lighthouse. It is one of the only lighthouses in SC that is still open to the public. After climbing the tower we explored some of the exhibits to learn more about lighthouses and the life of a keeper. While at the lighthouse we completed our 2nd Geocache. And before hitting the road we headed back to the pier to answer a few questions and take a photo for a 3rd Geocache find. I encourage you to always look for ways to learn with your children. Everything can be a learning experience and if you instill a love for learning and exploration you will see your children flourish before your eyes. Even when you are at the grocery store you can find learning opportunities for your children. 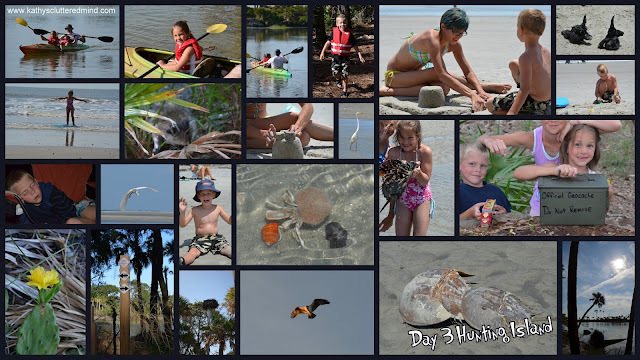 Our 5 day family beach trip was a fabulous educational adventure and the children are really excited to learn more about the various things we encountered. When we got home we added the following items to our unit study list: Alligators and Crocodiles, Mollusks and Shellfish, Ospreys, Moths, South Carolina and lighthouses and made a trip to the library to check out some books! 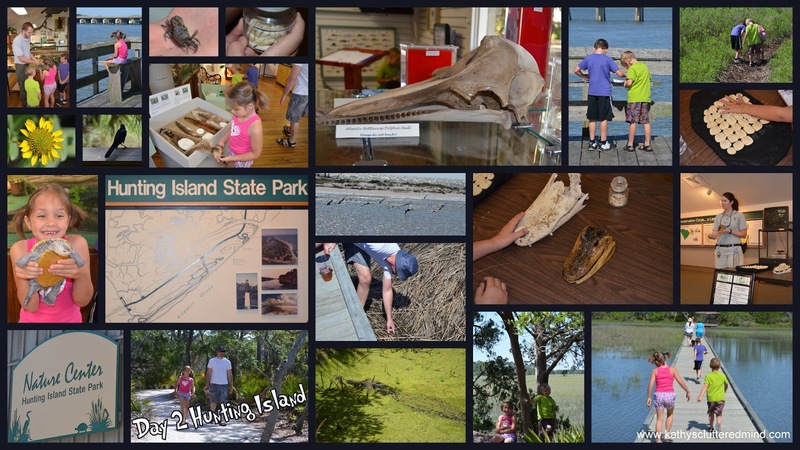 Right now you can snag this great Field Trip Lapbook from Simple Schooling on CurrClick to assist you in enhancing your field trip adventures and creating a memorable keepsake.